Click here to get a 15% off coupon for Adama organic dried fruits. I know, I know- nobody wants to hear those words. 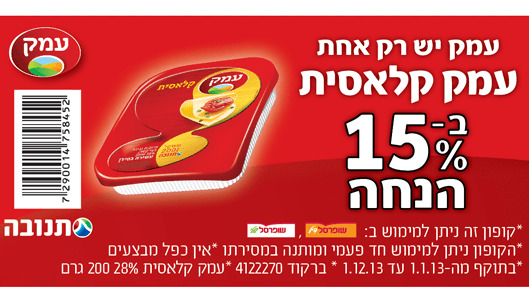 It is really important to spread out the shopping, though, so you still have money in your budget to enjoy chol hamoed. 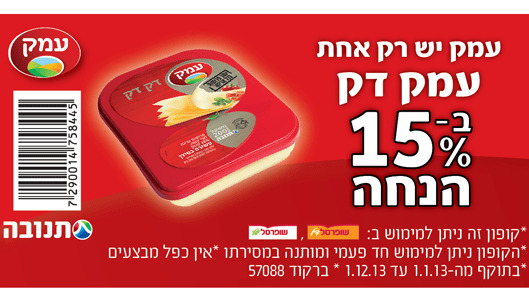 One of the definite advantages of living in Israel is that so many products are KLP all year round or start becoming KLP now. 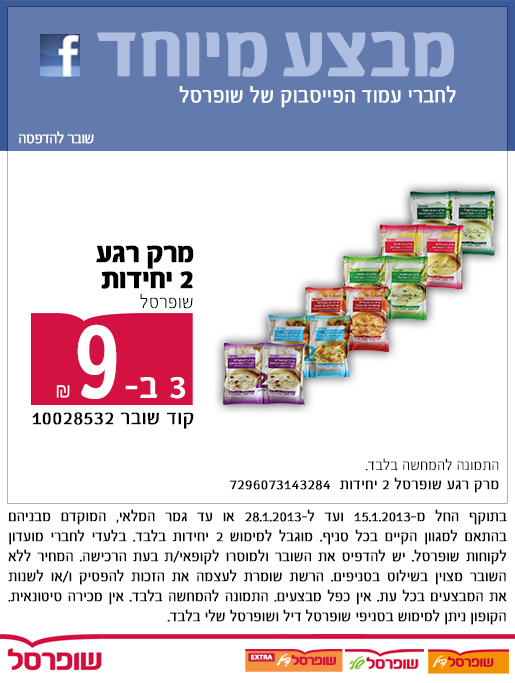 So take advantage of the sales each week and purchase newly stocked items- you will be pleasantly surprised to see how easy your Pesach shopping will be this year. In the meantime, plan your next month’s meals based on what is in your pantry. Spread out your chametz meals to use up what you have. However, if you have 8 bags of orzo and you won’t be having 100 people for Purim seudah, donate those bags now and make room for KLP items. 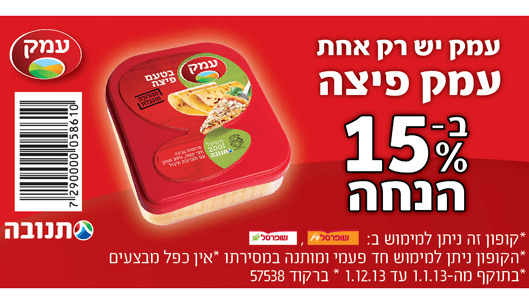 If you are one of those super-organized people, you can start doing Pesach Missions starting with this post. Make sure to print out the whole coupon. After clicking on it you’ll get the whole picture. 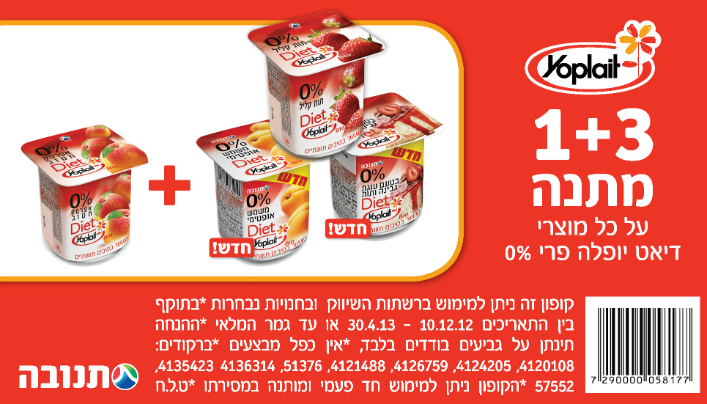 Then print the screen or use the snip tool to print the whole coupon with the text on the bottom. This is not the coupon-go to their web site and print it there. Employees of the Central Elections Committee – anyone who works for the committee or provides a service to the committee, and for Elections Day only, any employee of the political parties running for office or anyone providing for them a service. Restaurants, cafes, kiosks, hotels and inns. Industrial or agricultural factories which have round-the-clock production. Theaters, cinemas, and other places of entertainment. The press, radio, and television. Bread, fruit, vegetables, and dairy transport, on Elections Day until 11:00 AM. Grocery stores between 6:00 AM and 12:00 PM (up to 6 hours). Baking of bread and production of dairy products. Hospitals and medical services which function on Shabbat or holidays on special schedules will operate at the same times on Elections Day. Security forces and all types of rescue services. All other services that operate on Shabbat or holidays on special schedules will operate at the same times on Elections Day. Employees of all of the aforementioned services will be given the opportunity to vote. For more information, go to the Knesset web site. According to the law, voters who on Elections Day are located at a distance of 20km or more from their designated polling stations are elligible for free transportation to their polling stations. A travel voucher will be given directly to the voter who presents either his/her identity card and its appendix with a current address, or his/her driver’s license together with the voter’s notification card that is delivered by mail. Without the id card or diver’s license, the travel voucher will not be issued to the voter. Travel will take place through the public transporation system – the intercity bus lines and Israel Railways. The voucher for the return trip will be valid also for the day after elections. A voter using public transporation or Israel Railways can receive his/her round-trip voucher at all post offices around the country starting January 6, 2013 until January 21 2013. The voter travelling on Israel Railways will convert his/her voucher to a regular ticket at the cashiers of the train stations on Elections Day only. This ticket will allow return travel also on the day after elections. On Elections Day, vouchers will be distributed by a Central Elections Committee representative who will sit in the central bus and train stations. In special cases, vouchers will be distributed in the offices of the regional elections committees. Those eligible for transport between Eilat and Tel Aviv, Jerusalem, Haifa, or Be’er Sheva, will receive special Egged tickets at the Egged cashiers. These tickets will allow travel the day before elections and return the day after elections. Travellers to or from Eilat must preregister with Egged – either by phone 03-6948888 or *2800 or on Egged’s website: http://www.egged.co.il. To travel from any bus station located between the Arava intersection and Eilat, one needs to get the voucher from a post office branch or a mobile post office, starting January 6, 2013 until January 21 2013. For more information about the elections, go to the Knesset web site.